Some scientific findings provide both opportunities and risks for litigants in mass tort cases. The point is highlighted by a new paper by Panou and colleagues published in mid- August in the Journal of Clinical Oncology. The paper concludes that a significant proportion of patients with malignant mesotheliomas carry inherited (germline) mutations in cancer-associated genes, especially in peritoneal mesotheliomas. Overall, 24 germline mutations were identified in 13 cancer-associated genes from a cohort of 198 persons with mesothelioma. The subjects of the study were mainly persons treated at the University of Chicago during 2016-17. The authors report several other notable findings. Approximately 12% of the individuals harbored germline mutations in genes associated with cancer, a number the authors view as parallel to findings in other solid tumors. We’ve long been talking about numbers in the 10-15% range. The authors reported a substantial portion of the mesothelioma patients had no identifiable exposure to asbestos (18%) and 26% of these individuals had germline mutations predisposing them to cancer. In fact, the authors state that “minimal-to-no asbestos exposure was the most significant predictor of the presence of a germline cancer susceptibility mutation…” We believe these facts further show why litigants need to pay careful attention to the role of genetics in a cancer in a particular person, and the related risks and opportunities for plaintiffs and defendants. For example, in some cases, defendants could use genetic testing to provide concrete, objective evidence that can be presented to a jury to show that genetic factors caused a mesothelioma, as opposed to arguing the cause was “idiopathic.” On the other hand, when inherited mutations are not found, plaintiffs may be able to argue that the mesothelioma was caused by an external source (e.g. asbestos). The authors reported the following characteristics were especially predictive of the presence of germline cancer mutations: peritoneal disease, a second cancer diagnosis, and young age of cancer onset. We have repeatedly highlighted the presence of one or more of those factors as reasons to undertake genetic testing. The authors sometimes used the terms “susceptibility” and “predisposition” more or less interchangeably. We point out the need to use these terms with more precision: “genetic susceptibility” should refer to the genetic characteristics that may make it more likely for an external factor to cause a cancer, while “genetic predisposition” should refer to the genetic environment driving cancer independent of toxic exposures. Readers of the Panou paper also need to keep in mind that the paper is focused on the study findings and does not address other related variables and factors. In short, one size fits all inferences can be inappropriate because each person is unique, gene variants (mutations) are not all the same, and proteins coded for by different genes may operate in the same or different pathways. Moreover, the amount of “expression” of each gene may be modulated by epigenetic factors. The authors report a number of inherited mutations that were previously not linked to mesothelioma in several cancer-associated genes as relevant to the development of mesothelioma. They also reported mutations in genes previously recognized as relevant to mesotheliomas (BAP1, CDKN2A, and BRCA1, and BRCA2). These findings highlight the need to test for multiple genetic abnormalities in individual plaintiffs. We also point out that the testing used in this study was limited to selected portions of a limited set of 195 genes, and so did not cover the entire set of genes known to be relevant to cancer and was not comprehensive whole genome sequencing. More relevant genes remain to be identified through more comprehensive testing, as do other abnormalities, such as alterations of chromosomes. 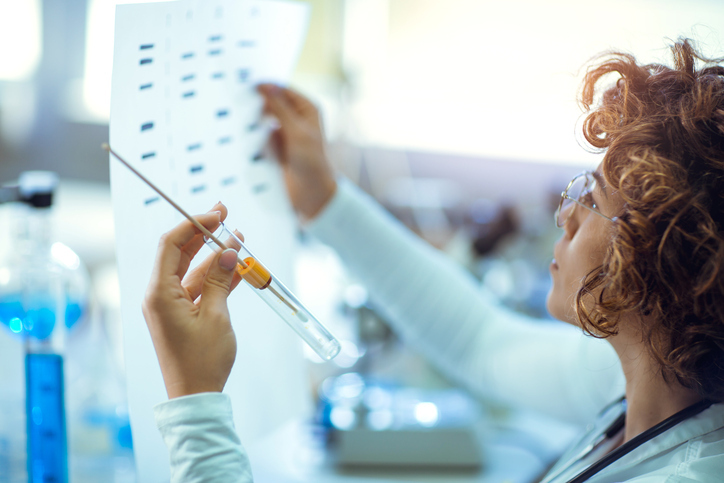 The authors pointed out the findings support using clinical germline genetic testing in connection with treating patients with malignant mesothelioma. We note that multi-gene testing is increasingly used and understood as part of cancer treatment and genetic counseling, and we think multi-gene testing likewise should be increasingly used and understood as part of litigation. The next few weeks include multiple events at which we expect there will be discussion of the Panou paper and other topics related to genetics, asbestos and cancers. One event will be a September 6 Harris Martin seminar at which TG’s Kirk Hartley will be one pf several speakers addressing topics involving low dose claims, genomics and mesothelioma. In addition, it seems likely the Panou article (and others) will receive attention at the IASLC 19th World Conference on Lung Cancer meeting in Toronto (September 23-26). Several sessions of that annual meeting will be focused on mesothelioma. The third event will arise when Drs. Michele Carbone and Arnold Brody speak on a panel on October 1 at the Perrin National Asbestos Litigation Conference in San Francisco. We urge you to take one or more of these opportunities to learn more about the vast amount of new genetic data relevant to mass tort cases. And, watch for our announcement of an October webinar focused on use of genetics in mass tort cases.